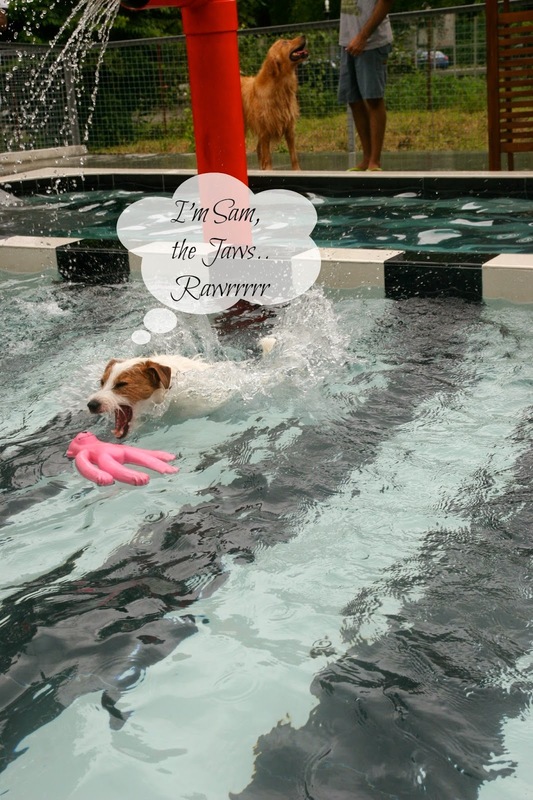 Sam's Pick: Sunny Heights (Animal World) Swimming Pool! Swimming is a weekly affair at the Loo Lim Household. 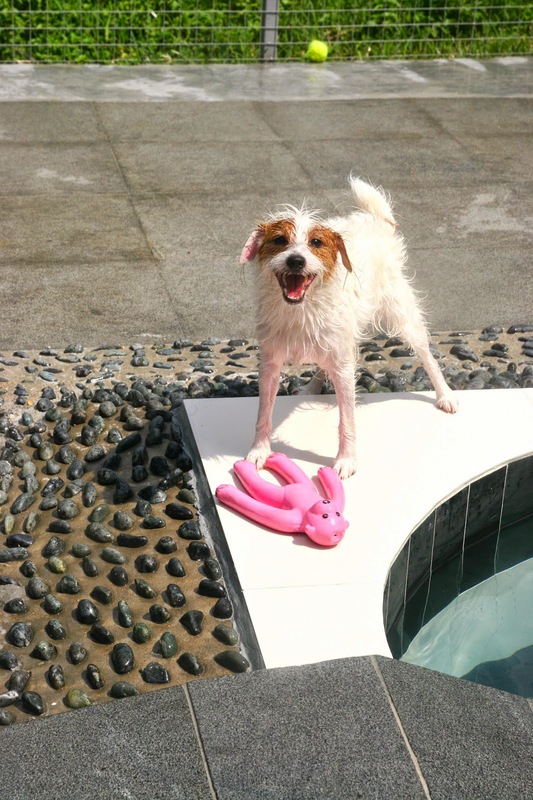 Every saturday, we would pack our swimming gears (including Monkey and Monster!) and head out to our usual pool. Because... our favorite pool just undergone an extreme makeover. to THIS fabulous pool under Sunny Heights (Animal World)! Gone are the rough surfaces, slippery slopes, protruding nails and dirty water. And say hello to new (and gorgeous) tiles, easy steps, cool (but a little scary) water features and comfy seats for our parents to chill! In fact, we absolutely love it! Pecan ah ma giving it her grin of approval. Thankfully, not only was I not deterred by the steps, I wasted no time and got right into my monkey rescue missions instantly. Yes, I am that obsessed. While the steps were a great improvement, we are also really happy that the entry slope of the deep pool has been improved on too. We no longer have to struggle to walk up the slope on non-slip mats that always slip off the slope (ironically). Now, we can walk out of the pool easily! That being said, both me and Pecan ah ma ain't too fond of the water feature in the deep pool though. It's so scary that I had to close my eyes to swim past it! Ah ma wasn't very pleased either. After one attempt, she refused to swim beyond the feature. 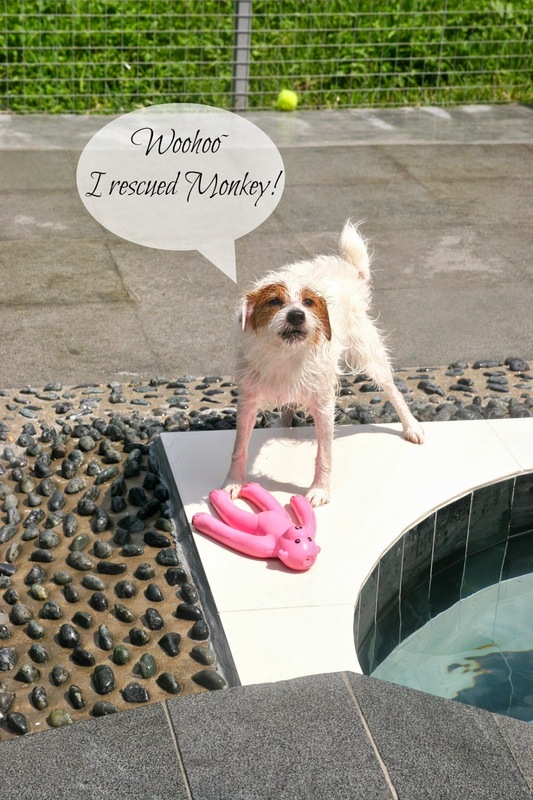 Nonetheless, we had tons of fun doing what we do best - I rescue my monkey, while she rescues her monster. 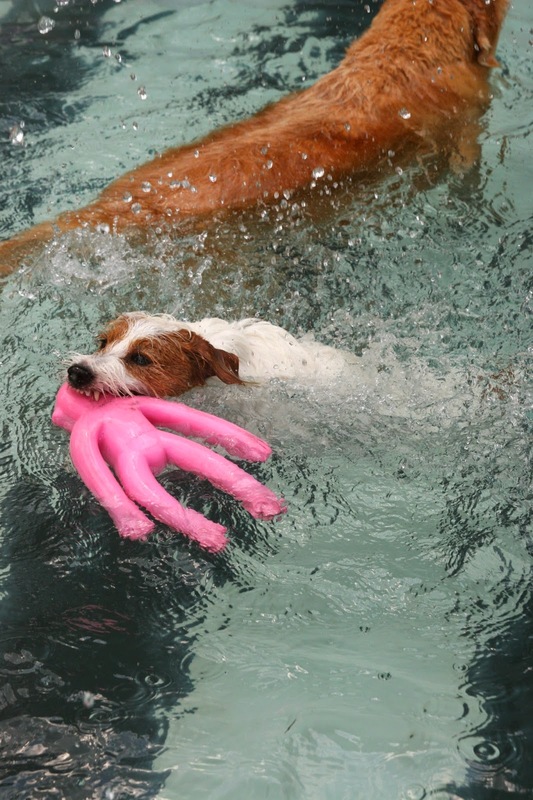 Of course, there are times when I get a tad lazy and unsuccessfully attempt to pick him out of the water. And when that fails, I dive for the rescue. The truth is.. behind every successful dive, there is a dozen of failed ones. Oh well, it doesn't matter how it's done. It's the end result that matters, right? 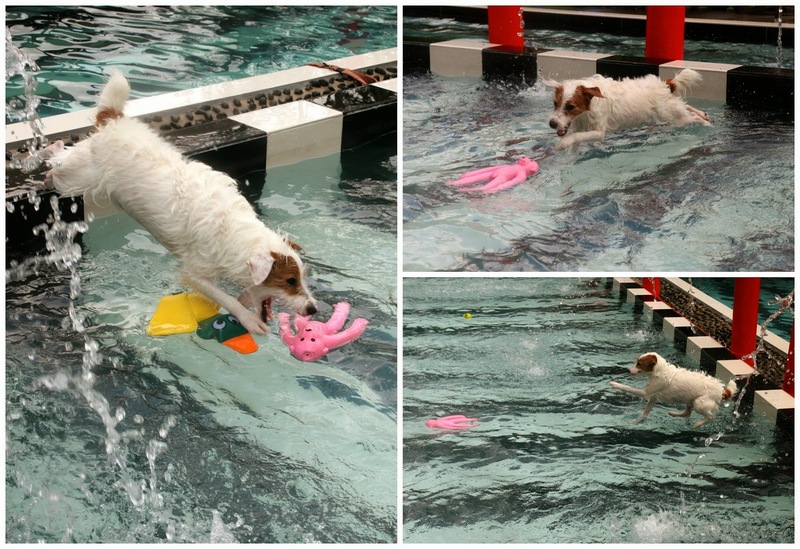 While ah ma isn't as flashy a swimmer as I am, she is amazing in the pool too! She literally glides through the water. It must be her 'webbed' paws! Don't be fooled by her age, this ah ma is super agile. Sad to say, but I've to admit her stamina is better than mine. We definitely had a blast at the new pool!!! And I guess Saturdays will be even more exciting from now on! Can't wait for the next swim! And yap, my parents had two 'dead' dogs laying around the house for the next three days. Yes, it was THAT exhausting. 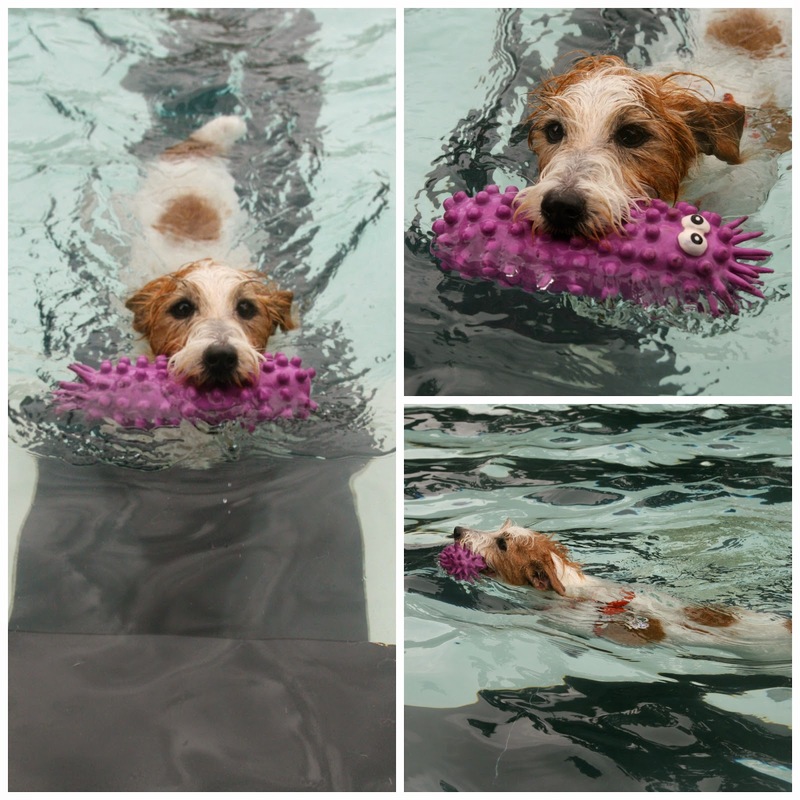 Mummy's note: We absolutely love the new changes to the pool! Even with the vast improvement, the charge per dog only went up 30cents! Super affordable! Judging from the frequency of our swims, I went ahead and got the package (10 swims + 2 free for $140) instead! Certain a bang for your buck! To be honest, the pool has certainly gotten a lot more crowded than before. So, if you wanna skip the crowd or have a dog-unfriendly pooch (like ah ma), it might be a good idea to head over earlier! The other parts of the compound is also undergoing change! Besides the addition of one of our favorite bakery (Pawlicious bakery), a new human (and obviously pet-friendly) cafe and a retail store will be opening soon! We can't wait for that to happen. Kudos to Animal World for turning what used to be a dread and boring place to such an amazing and hip place for pet owners and their pooches. We just needa figure out how to make Pecan more dog-friendly so that we can enjoy a meal at the new cafe in time to come. next time jager and snow want to go along too! I really enjoyed reading your blog. 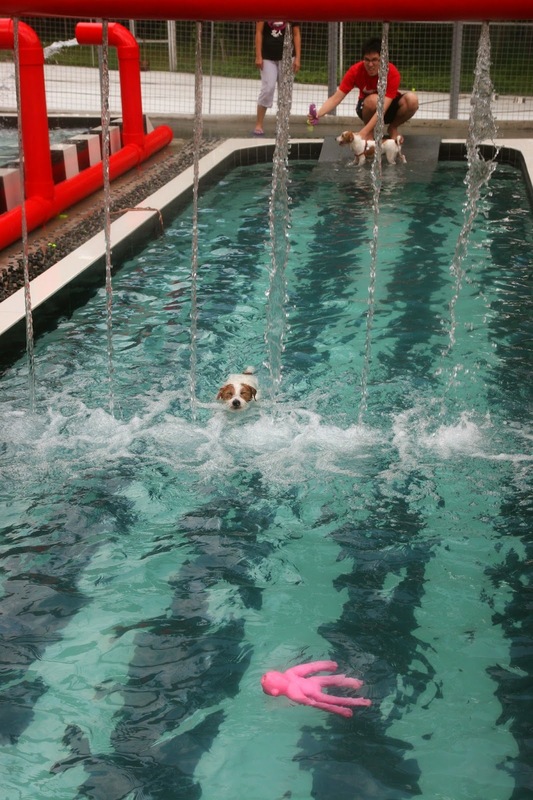 Your dogs are so cute and they look like they are having a great time at the pool. 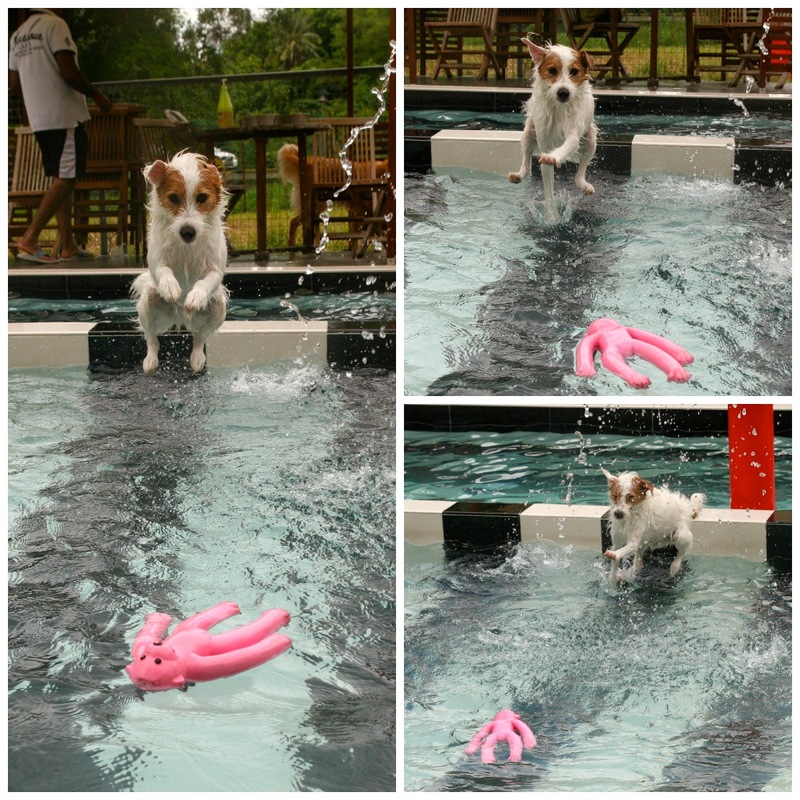 You took some amazing action shots of them jumping into the pool and playing which I love. The new pool looks great, it's definitely an improvement on the old one. 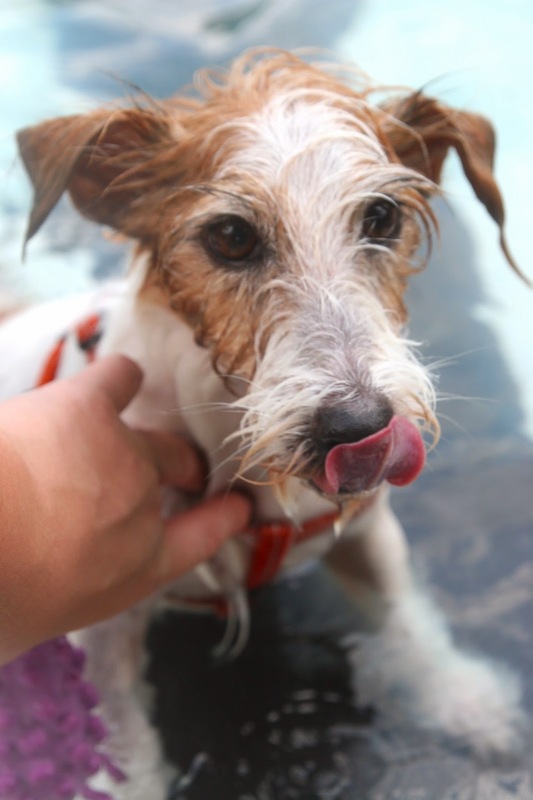 We got the swimming pool for our dog, and she loves to come outside and play with us in the summer. We have let her play around when we get into our own pool, but now she has her own pool to play in while we rest. She loves to play in her swimming pool, and she even rests in it.